Identification needs confirmation with a specimen under the microscope but with experience it can picked out by its medium size, prominent male pore (not visible in the similarly sized and much commoner species Lumbricus rubellus) and saddle starting way back on the body on segment 33. 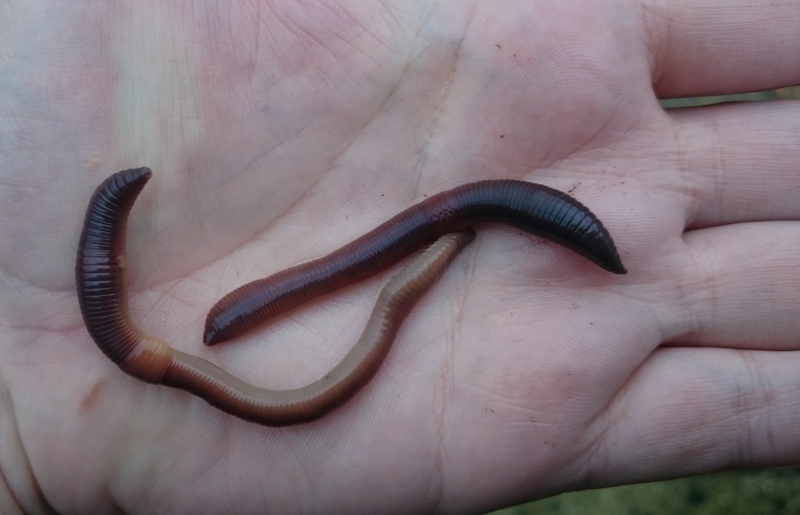 It could be mistaken for a small Lumbricus terrestris or the very rare Lumbricus friendi. Lumbricus festivus is a surface-feeding (epigeic) earthworm which grows to around 5 – 10 cm in length. It often has a short, chunky appearance. It seems to have a preference for area of high organic material, being found under dung, in pastures with a lot of livestock, under logs etc. and I find it frequently in the soil beneath my chicken house. Maybe the name festivus, which relates to feast in Latin refers to this gluttonous nature? I hope you have plenty of feasting over Christmas, and don’t forget to thank the earthworms for helping us grow our food!